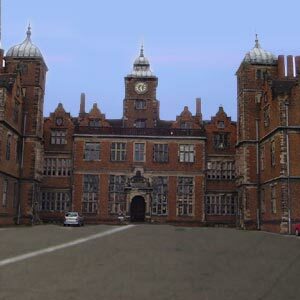 Aston Hall in Birmingham was built by Sir Thomas Holte in 1618. The Holtes maintained Aston Hall till 1817 when it was sold. It is an example of Jacobean architecture and speaks of style and ornate character. Aston Hall suffered considerable damage in 1643 when it was attacked by Parliamentary troops. The Great Stairs still bear the scars left by cannon-shots. There was considerable remodeling and redecoration during the late 17th and 18th centuries. Located in the inner city area of Birmingham, Aston Hall has been a country house museum. It is the property of Birmingham Museum and Art Gallery. It showcases some of the museum's furniture collections, British paintings and important textiles, silver and other furnishings. The Great Stairs and the Long Gallery and plasterwork in the Great Dining Room are fine examples of the decorative work of the 17th century. Aston Hall by Candlelight is a popular event that takes place in this monument every two years.